In feudal times all the villagers were tenants of the lord of the manor, but the lord also retained some land and property for his own use, called the demesne. The extent of the demesne in Sutton Coldfield is given in the Domesday Book of 1086 as one carucate (about 120 acres), but when the Earl of Warwick became lord of the manor in 1126 there were two carucates in demesne. Sutton was a composite manor, so although most of the demesne land lay next to the manor house on Manor Hill, there was also some at the outlying villages of Hill and Little Sutton. Shortly afterwards, in the 1150s, the Hill and Little Sutton demesne was granted away to the newly founded Canwell Priory. In the fifteenth century the manor and its demesne was rather neglected, the old fortified manor house itself being demolished around 1470. When Sutton became a self-governing town in 1528, the demesne, or manorial lands, became the property of Thomas Keene, husband of one of Bishop Vesey’s nieces, and descended to Symon and Ann Parrott (Ann being a descendant of Thomas Keene). Symon Parrott was in financial difficulties, so the manorial estate, (which had probably been Ann’s dowry), was conveyed to trustees. This happened in 1590, and the deed survives in Smethwick Library. The deed mentions four or five large fields, all down to pasture, lying between the Mill Pool (where Gracechurch Centre now stands) and Wyndley Pool, and from Birmingham Road to Sutton Park, the field next to the manor site being called Rokes Hill. 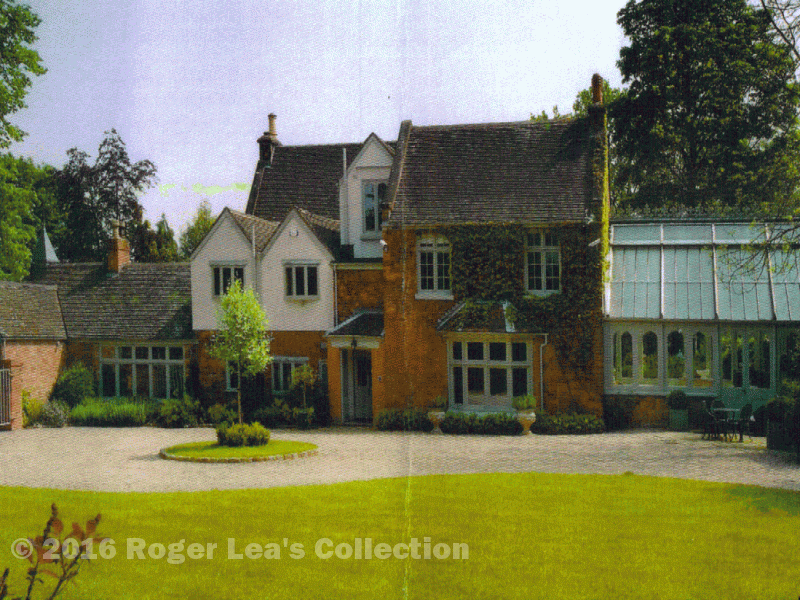 The property included five pools described as fisheries - Wyndley, Mill Pool, Keepers Pool, Middle Pool and Follyers Pool. The document makes no mention of any buildings on the site of the old manor house. By 1600 Symon Perrott was dead and his widow Ann was married to Marmaduke Dawney.. The Dawneys lived in High Street, and the manor house site was still vacant. 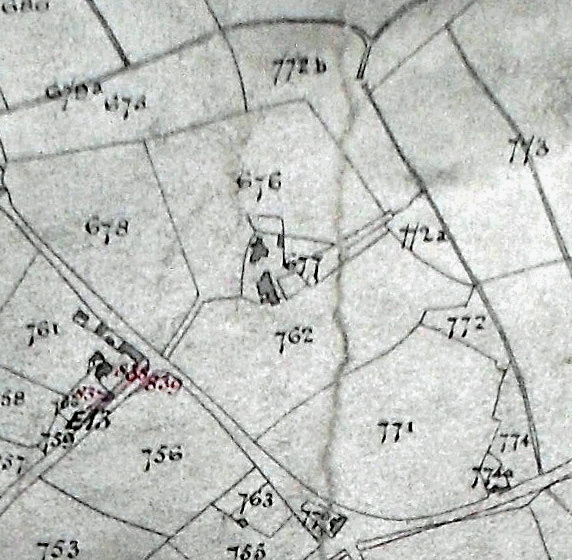 The old demesne property descended to Thomas Dawney, who died in 1671. The next owners of the manorial lands were the Holts of Aston Hall, and their property is fully described in the 1824 Corn Rent Schedule. The bounds of the old demesne land are clearly shown on the Corn Rent Map, extending from the Park to Birmingham Road and from the far end of Wyndley Pool to Park Road, with the hill-top manor site in the centre - two fields on the steep hillside to the north of the manor are named Near Rocksall and Far Rocksall, presumably the Rokes Hill of 1590. The 1824 schedule shows that the land was let to a farmer, William Perry, but although his farm included the “Manor House, yard and Buildings”, Perry probably lived at nearby Driffold House, also rented from Digby; the manor house, perhaps recently built, may have been sub-let to a rich tenant. The area of the farm, not counting Keepers Pool, but with the addition of some other land formerly part of the demesne, is just over a hundred acres, but now divided into 24 fields rather than the earlier five. (Somerville Road was not made until the 1870s). The Digby property descended to Lord Somerville, and in 1857 the Manor House was occupied by Mr. and Mrs Proctor and their servants - in the census book his occupation is given as “gentleman” and hers as “lady”. The Manor House was sold in 1906, and according to the sale particulars “the present residence was built in the nineteenth century, and has since been enlarged”. In the twentieth century the former demesne land was developed for housing, shopping, leisure centre and swimming baths.